Put simply, if you are a glass half full type of person then you can be said to be a positive thinker. If you are a glass half empty kind of person then you are a negative thinker. People who choose to think positively are not only more calm but they are also more successful. Negative thinkers are more likely to have poorly managed emotions which can not only impact on their mental health but it can also be detrimental to their physical health as well as limiting their success in life. Negative thinking can directly cause feelings of helplessness, hopelessness and chronic stress; which in turn can create physical symptoms such as rapid heartbeat, chest pain and digestive upset. This is not to say that those who think positively don’t experience challenges. They do, of course they do. But it is how they approach, deal with and move forward from their challenges that sets positive and negative thinkers apart. While a negative thinker faced with a challenge or problem will lament it, dwell on it and let it manifest into physical sensations, a positive thinker will think “how can I make the best of this situation” or “ok, that didn’t work, what else can I try?”. 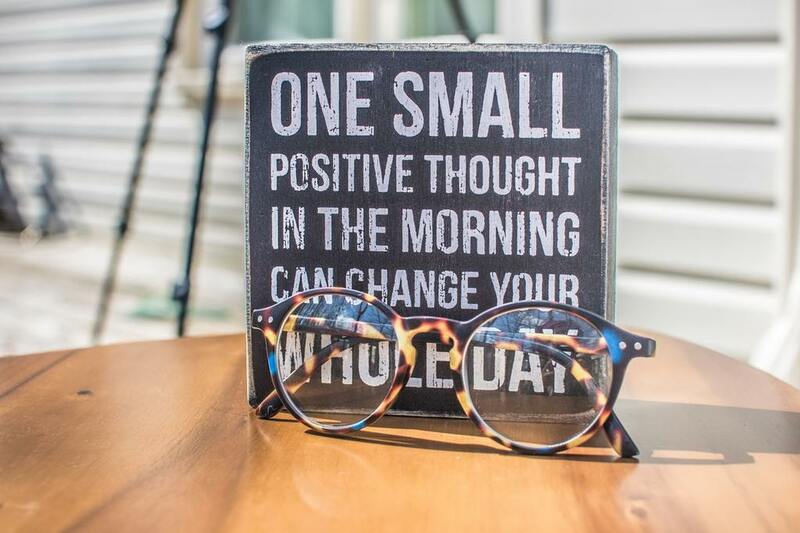 Now we know that Positive Thinking creates positive experiences in life the next and most important question of course is how do we become a positive thinker? Start each day with affirmations. Affirmations are positive statements. They are always stated in the present tense – so instead of saying “I want to feel safe” you would affirm “I am Divinely guided and protected at all times.” Louise Hay is the Queen of affirmations – here is a list of the best 101 affirmations. Keep a Gratitude Diary. This helps you to recognise and connect with everything positive in your life. A gratitude diary can be something simple such as noting 5 positive things that have happened to each day or more complex such as noting down everything you are grateful that day such as the bus was on time, the supermarket had plenty of nutritious food to choose from…you get the picture! Take some time each day to focus on the present. Meditation is a great way to do this. If you are new to meditation then I recommend downloading an app such as CALM to your phone and listening to that once a day before bed. Create some Goals or a Wish List. Think about what you would like to achieve in the next 5 years. Now break that down into small steps; what steps would you need to achieve yearly to hit your target? Now break the annual target down into monthly targets. Think about you can hit those targets and put into place anything you need in order to do it. Make sure your GOALS are SMART; Specific, Measurable, Attainable, Realistic and Timed. Grab some Me Time. Why not book a day at a spa to really give you the time and space to relax and to sit and think about your goals and wish list. Mind Coach and TV Presenter Anna Williamson recommends taking 15-30 minutes each day for yourself.